Send A Note, My Obsessions with Rifle Paper Co.
Notes are a great way to show someone that you care. I recently recieved a note from my godmom after Mother's Day, thanking me additionally for her gift. That meant so much to me; it showed me that I was appreciated by her and that she thoroughly enjoyed by gift. It feels good to get cards in the mail, even when it's not your birthday. Notes can be sent for a multitude of reasons! Whether it's a Thank You, for sympathy or just to say hello, notes are a great reminder that you care for someone! I love finding all different types of notes, The Rifle Paper Co. makes some of the best cards I've ever seen! Their designs are stylish, timeless and classic. If you click my collage below, you will see the link to the 'Hello Gorgeous' Card! 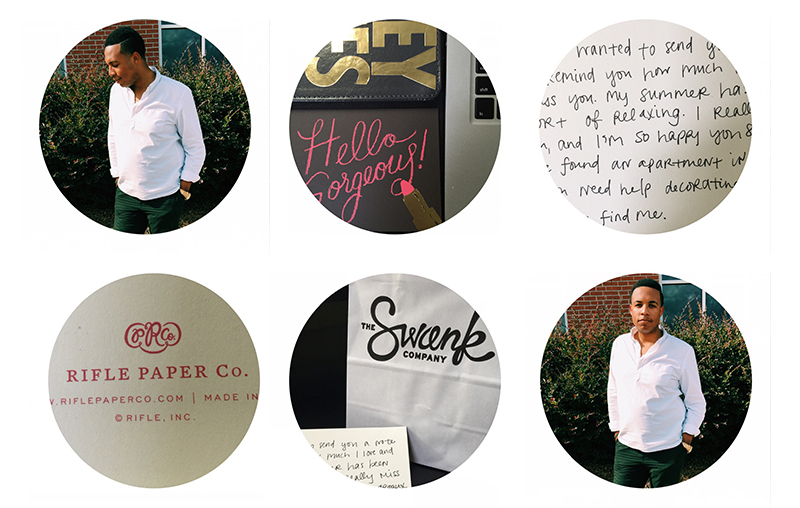 If you're in the Augusta Area, The Swank Co. has ALL of your Rifle Paper Co. needs, that's where I purchased my 'Hello Gorgeous' Greeting Card! When you get there, tell Hailey I said Hello Gorgeous! I can't wait to see the reaction when this special recipient recieves their note from The Mod Prep! Stay tuned for some big news on The Mod Prep!